When we speak of commercial roofing in Dallas, TX, it is something necessary for every business but not all of us fully understand it. Do you know that sloped roofing is way different than flat roofing work? The difference does not only lie in the material but also in the installation methods. When you own a commercial building, being a business owner, it should put forward a good image to your clients as well as the general public. As you may already know that your commercial building’s roof plays a major role in improving its aesthetics. Thus, as per the experts of commercial roofing in Dallas, TX, your roof is not only a protector of your commercial property but it also improves the curb appeal. However, just the right installation of the commercial roof is not the end of the story. The real job is to keep it well maintained to face different challenges such as natural calamities or regular wear and tear. In case you are in charge of roofing, there is some useful consideration that you must hold on to at all times before you plan the next roofing project. In fact, there are some major mistakes made in the project commercial roofing that can easily be avoided otherwise. These are some of the most common mistakes made by professionals while carrying out your roofing project. Thus, if you point out these mistakes in a timely manner or if you could keep an eye on them, you can ensure a long lasting and reliable relationship with your commercial roof. This also emphasizeson the fact of hiring only the most reputed and well–recognizedprofessionals of commercial roofing in Dallas, TX. Renowned professionals are the ones that are well qualified and skilled to perform the roofing project and with utmost efficiency. One of the most common factors that you must keep an eye out for is that; commercial buildings in Dallas, TX usually have a flat surface in comparison to residential roofs. This means that flat roofs don’t have a proper or natural angle to help water drain efficiently from the peak down to the edges. Thus, this causes damage to the roofing material. However, to overcome this issue, professionals use a variety of methodologies and techniques during the project of commercial roofing in Dallas, TX. These techniques help you ensure proper water drainage in the case of a flat roof. So, if you think your roofer did not consider this important factor during your roofing project, then you must ask them to consider this and make sure to inspect the roof after its completion to avoid problems in the long run. Have you ever heard of installing a new roof but over an existing one? Well, this may sound like a routine procedure to you. In fact, most of the commercial roofers might come up with the same suggestion. They are always willing to install a new layer over an existing and damaged layer just to avoid its disposition process. But oftentimes, the commercial roof owners make the biggest mistake of allowing them to install a new roof over more than one old roof system. This is a very wrong practice and can be significantly damaging for your roofing project as the professionals of commercial roofing in Dallas, TXsuggest. Make sure that there are not more than 2 roof systems at one time. Try to avoid multiple layers right from the start. This is because the weight of these multiple layers of roof system may be too much for your commercial property and collapse eventually. So, it’s better to avoid an uncertain situation by keeping the weight as much less as possible. It is a common observation that most of the commercial roofs are generally occupied with the units of various heating and cooling system. Also, there are so many pipes passing through the rooftopthat facilitate the plumbing and HVAC systems installed in your commercial building. 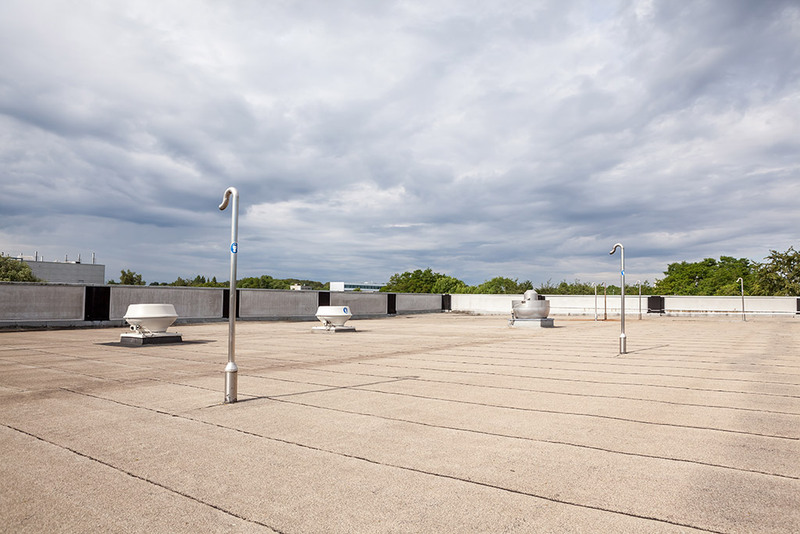 Having pipes or HVAC units installed on your commercial roof is not issues until these items, protruding from your commercial building top, come out of your roofing. In this case, your best bet is to hire the professionals of commercial roofing in Dallas, TX and ensure proper flashing to secure them. If not, this may lead to the growth of mold and mildew along with other damages such as a quick water seep. Whenever business owners take up the commercial roofing project, they neglect its inspection at the end of the roofing project. This may not necessarily be a problem if you have the right and reputed professionals of commercial roofing in Dallas, TX to perform the job. But if you really aren’t sure between shoddy worksor a professional, then you must carry out a final inspection after the completion of the project. If you live in Dallas, TX you will come across many professional roofing services but not all of them are trustworthy. Not all of them offer reliable services. Thus, always go for a reliable contractor who knows how to perform the job and who can be ready to stand bythe work done even after years. For this, you can also take references from your colleagues or your friends. Remember, the roof is the most important part of your commercial building and its installation, repair, and maintenance should never be neglected or avoided. Finding the right professional of commercial roofing in Dallas, TX might seem like a tough job. There are several options out there but you cannot trust just any other service for your roofing project. Thus, to help you make the right selection and ensure proper commercial roofing in Dallas, TX, we recommend Longhorn Commercial Roofing services.